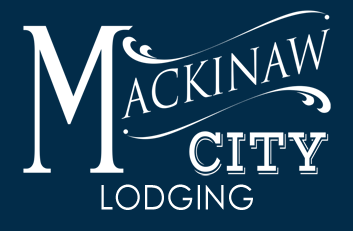 We begin our look back at the History of Mackinaw City with its location. This unique region was key to the early Native American, French and British culture that has been preserved through the efforts of historical groups within the area. 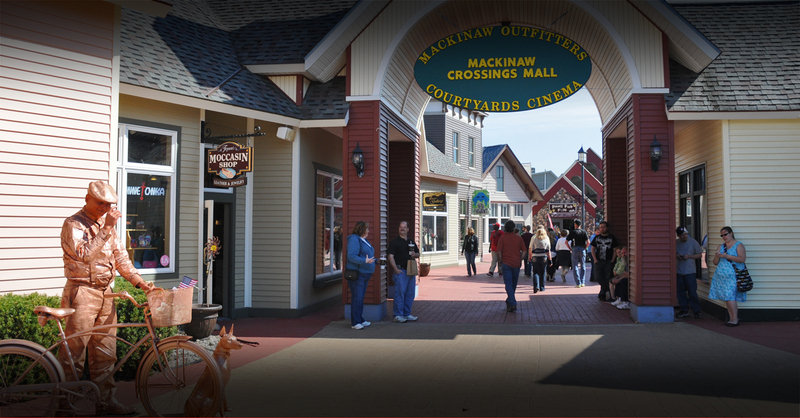 Mackinaw City is located in Michigan’s Northern most point along the Straits of Mackinac. This waterway is situated between the Upper Peninsula and Lower Peninsula of Michigan. 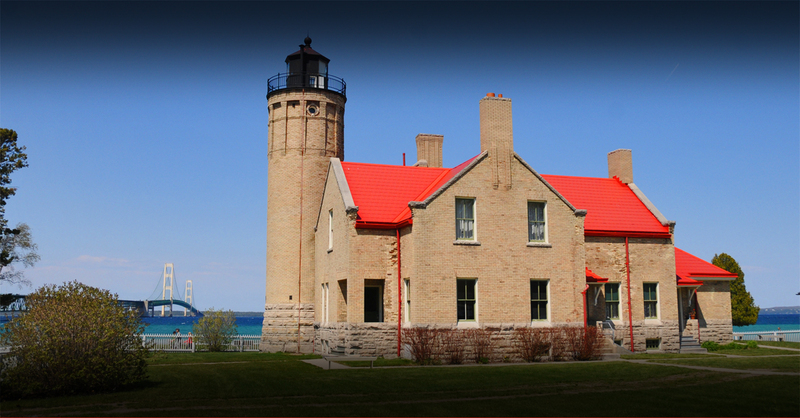 The Straits connect both Lake Michigan and Lake Huron, making this an ideal place to experience the Great Lakes region. “Ambe daga wiijiiwishin” – Translation, "Come with me"
The Straits of Mackinac was and is a principle shipping lane for the passage of goods and materials. 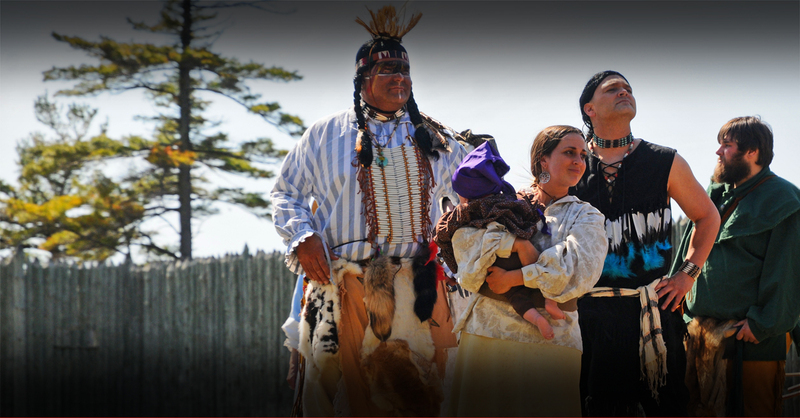 In the early days, Native Americans utilized the lane for the fur trade routes. Anishinabe, also known as First People lived within the Straits and thrived within this territory for over 500 years. 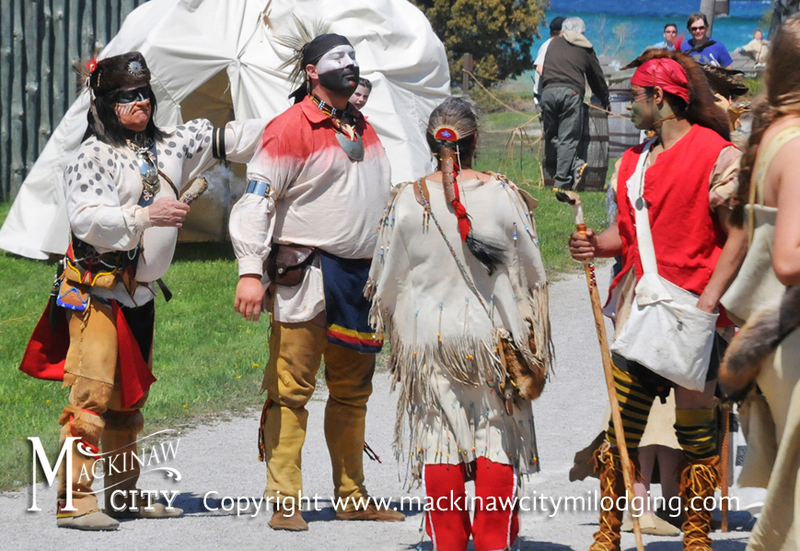 The first Natives were the Pottawatomie, the second were the Ottawa and later the Ojibwe. The first explorer to the region was Jean Nicolet. He paved the way for future travelers to the region included the first Jesuit Priest Missionaries. 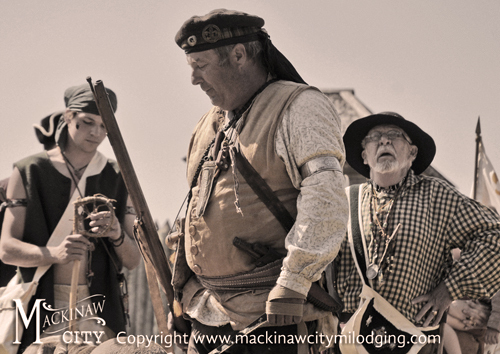 They brought the word of God to the area and journeyed along the Great Lakes around the year of 1670. The most celebrated of these priests was Father Jacques Marquette, who brought the Huron Indians to the safety of Mackinac Island. 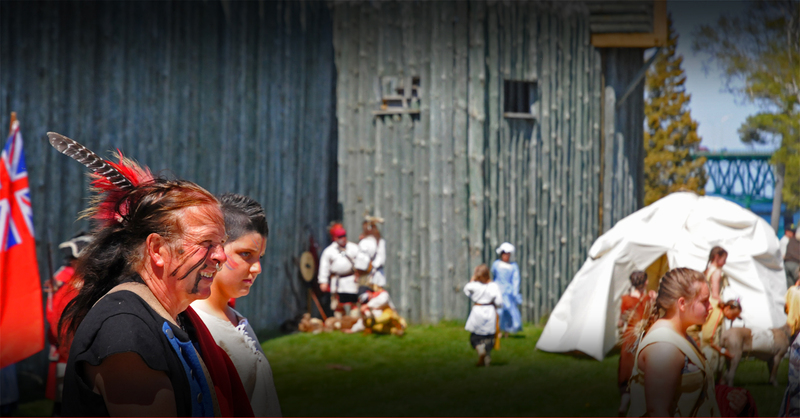 When the island land was found to be unsuitable for growing crops, Father Marquette brought the Native Community to what is known as St. Ignace. To this day, you can visit his grave site that is located at the Museum of Ojibwa Culture, located at 500 North State Street. The Father Marquette Mission Park features a gravestone and the located of his 1671 mission. A fountain and garden adorn the park and is a registered National Historic Landmark along with a Michigan Historical Site. 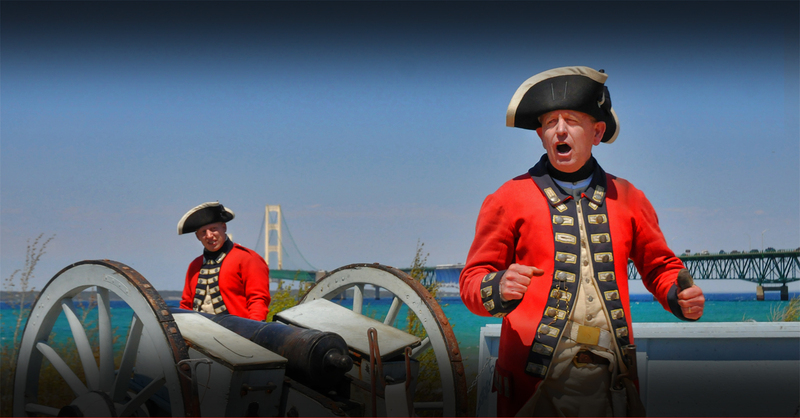 The first European settlement to Mackinaw City was established in 1715 when the French constructed Fort Michilimackinac. After the French and Indian War that lasted from 1754 to 1763, the British took possession of the fort. 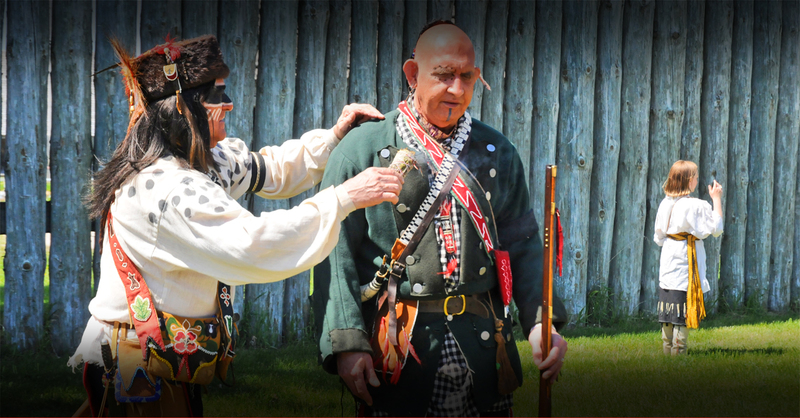 French civilians were still allowed to remain within the confines of the fort and continued their fur trade with the Odawa and Ojibwe Tribes. 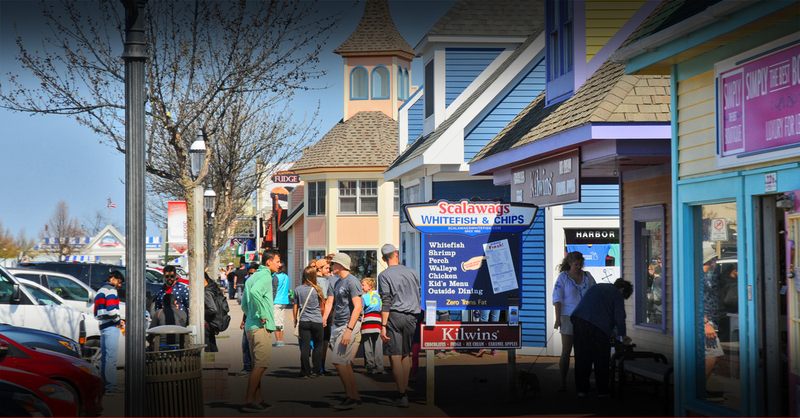 Conkling and Searles began their vision of Mackinaw City in 1857. 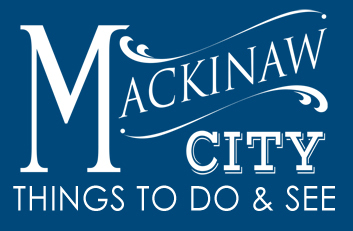 These plans included a park and preservation of Fort Michilimackinac. Train ferries began crossing the Straits in the 1890’s. 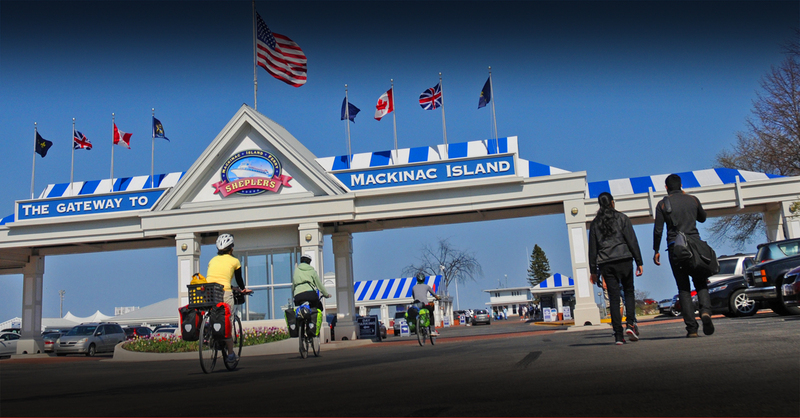 Ferries for automobiles were available as early as 1900’s to 1957 and afterwards the creation of the Mackinaw Bridge. Spanning the Straits of Mackinac, the Mackinac Bridge is the world's 16th longest suspension bridge and the 3rd longest in the Nation. It connects Michigan's Lower Peninsula and Upper Peninsula. 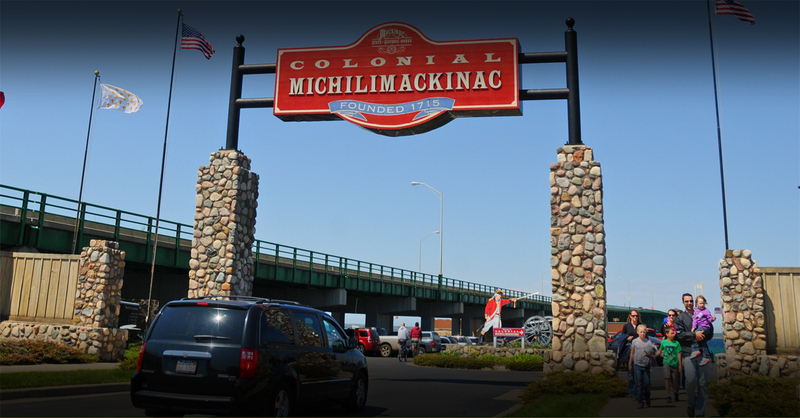 This amazing bridge connects the two cities of Mackinaw City and Upper Peninsula's St. Ignace. This incredible marvel was envisioned as early as 1880's. 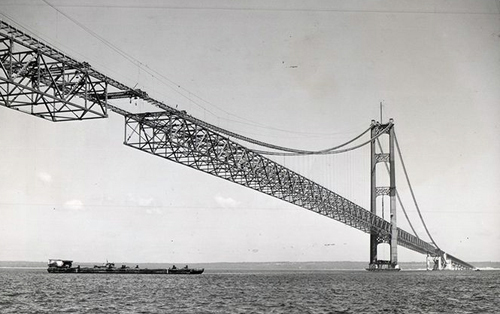 The completion and grand opening of the bridge was held on November 1st, 1957.